Caption slip reads: "Note: For Thursday paper. Photographer: Jensen. Date: 1952-01-15. Reporter: Massard. 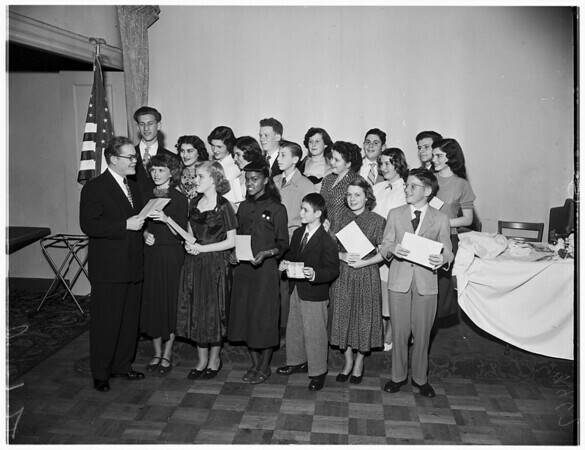 Assignment: Bill of Rights Essay Winners, Ambassador Hotel".